Geesh! It helps when you have a super talented, even craftier, older brother! 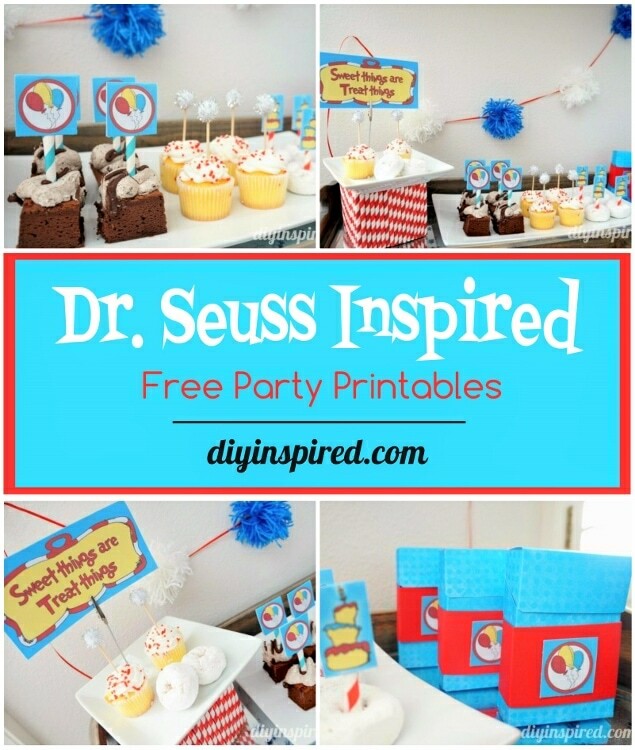 My brother from, Figure Ground Graphics, designed these AWESOME Dr. Seuss Inspired Party printables and is offing them to DIY Inspired readers for FREE! Woot woot! 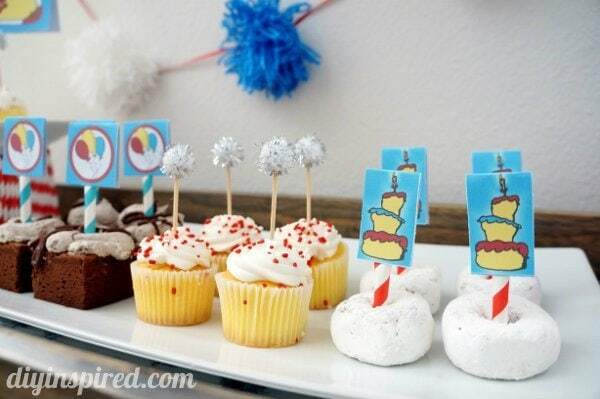 They take just a few minutes to download and print and can be used for cupcake and food toppers, favor bags, or signs. 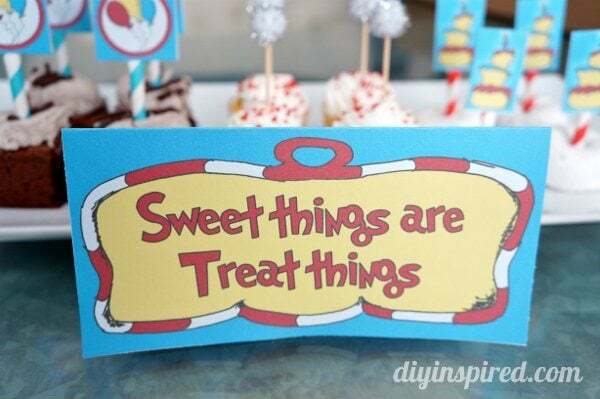 This is great because I am honored to share this Sweet Things Are Treat Things party for a Dr. Seuss edition of Craft Lightning! Here is what they look like when you print them. 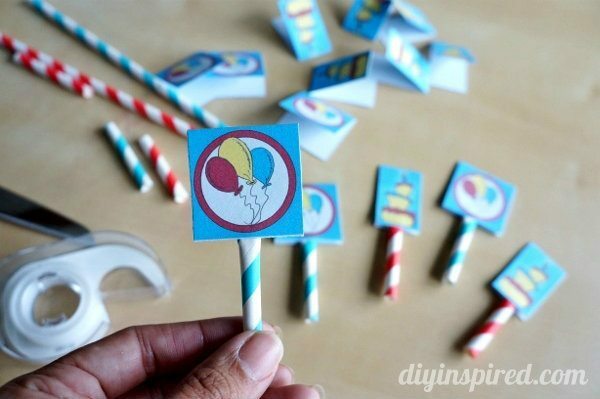 I cut and folded the balloons and cakes and put them on straws for food toppers. I also used them to embellish some treat boxes that I made. 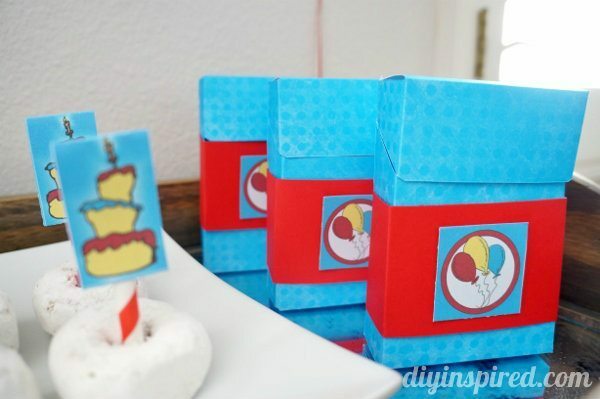 Here is the tutorial for these DIY favor boxes! 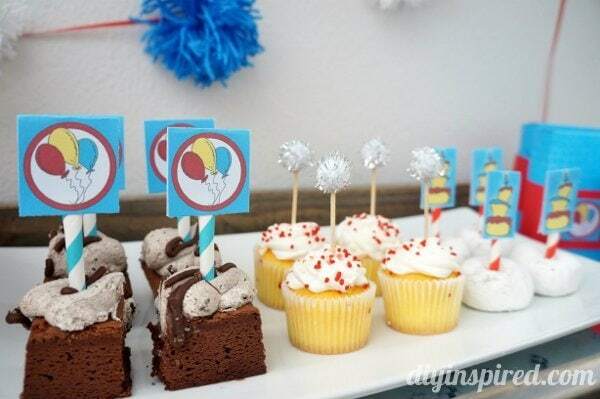 The sign can be used in different ways as well. 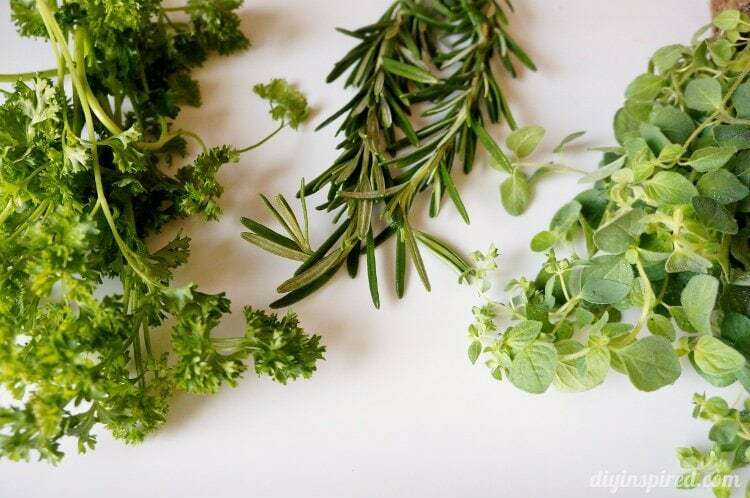 You can simply fold it and display it. 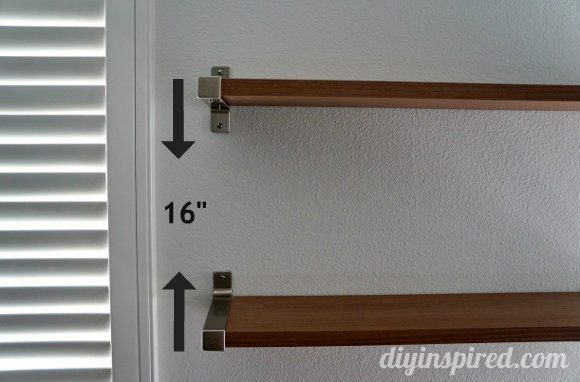 You can use a photo holder to display it. 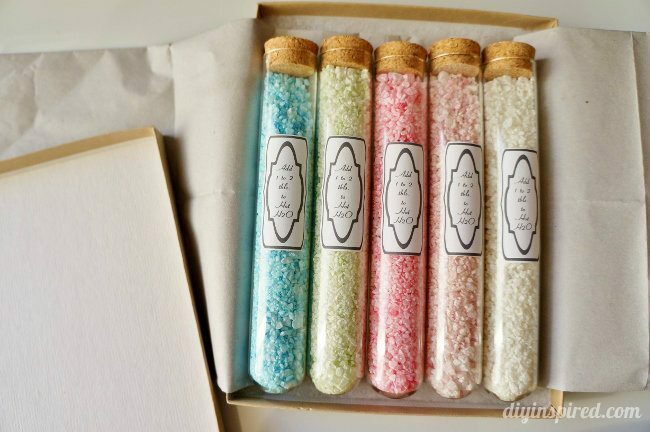 OR…wait for it… they are the perfect size to fit in a Ziploc bag for party favors! 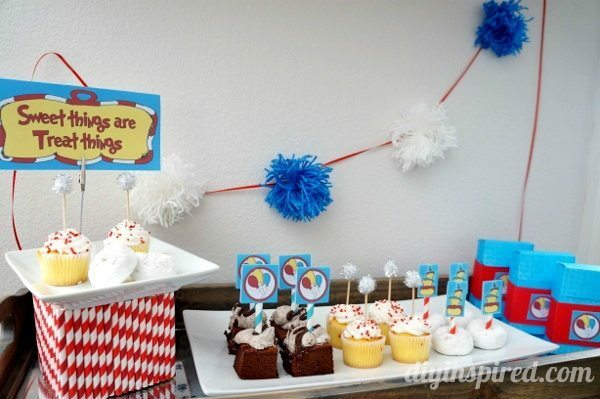 I hope you enjoyed this Dr. Seuss Inspired Party! 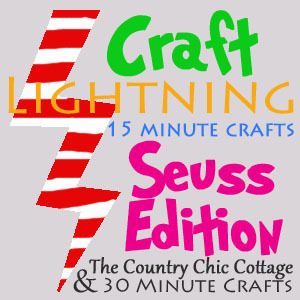 Thank you to Country Chic Cottage and 30 Minute Crafts for allowing me to participate in another fun Craft Lightening! 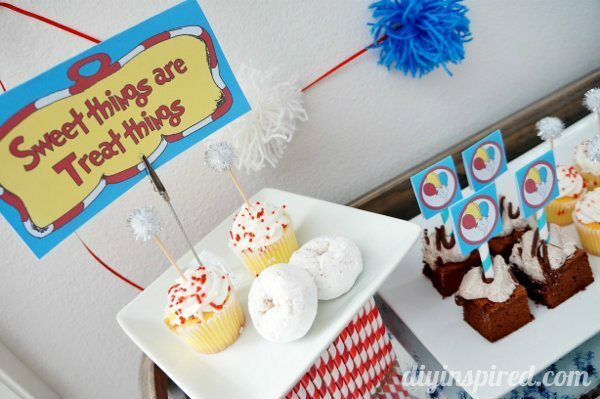 Be sure to stop by their blogs for more Dr. Seuss inspired crafty goodness! Thanks! I don’t have little kids anymore, but my nieces do and they’re always calling me for ideas!! This is really unique! Thanks for the freebies. No problem! 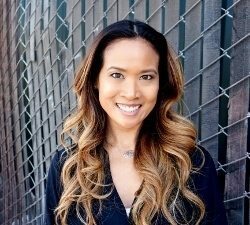 Thank you, Carmen for stopping by! Wow! 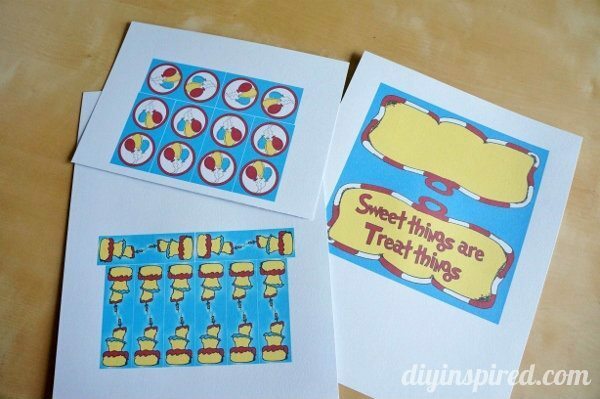 All these printables are so great!! Thank you so much, Carolina! I love being a party of Craft Lightening!